Subject: Are Solar Mutual Funds a Good Investment in 2016? Solar mutual funds are poised for big returns in 2016 as solar energy demand grows both in the United States and around the world. 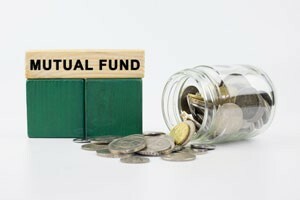 A number of solar mutual funds have already seen double-digit gains in 2015. U.S.-based funds like the Guinness Atkinson Alternative Energy (MUTF: GAAEX) and Firsthand Alternative Energy (MUTF: ALTEX) funds are up 11.7% and 16.1% since Sept. 29, respectively. According to the Solar Energy Industries Association (SEIA), the solar industry supplied 40% of all new electricity-generating capacity through the first half of 2015. Right now, there's nearly 23,000 megawatts of solar capacity in the United States, which is enough to power more than 4.6 million homes. Money Morning Global Energy Strategist Dr. Kent Moors says 2016 will be an even better year not just for solar mutual funds – but for solar energy investments all over the world. "There's now a confluence of technology and economy that assures these new energy sources will continue to be adopted and improved upon – at ever-increasing rates," Moors said on Dec. 10. "This year we'll see alternatives take an outsize position in the sector." China and India will see record-high demand for solar energy in 2016. China alone accounts for more than a quarter of global solar panel installations in 2015. The country's solar market will keep booming in 2016 thanks to the Chinese government's new panel installation quota. 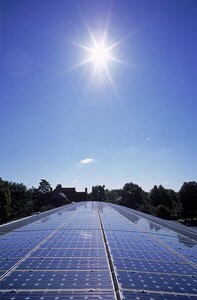 China's Xinhua News Agency reported the country will install 20 gigawatts worth of solar panels per year through 2020. "In the United States, a solar project is completed every two minutes – and in China, the pace is even faster," Moors said. The country is racing to replace its failing electrical grid. Bloomberg reported India has missed every annual target to increase electricity production capacity since 1951. Back in 2012, the country experienced the largest blackout in history, which left 700 million people without power. The Indian government plans to invest $100 billion to install 100 gigawatts of solar capacity by 2022. That's a massive increase from its current capacity of 4 gigawatts.